Linnaea Cunha, Linfield student, class of 2010, reading Howl and Other Poems, by Allen Ginsberg. 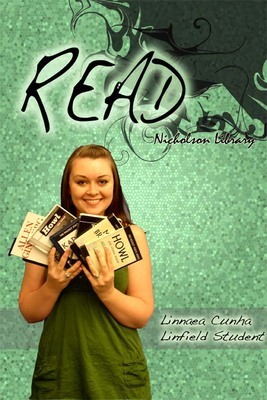 Terry, Paula and Nicholson Library Staff, "Linnaea Cunha READ Poster" (2008). READ Poster Gallery. Image. Submission 13.